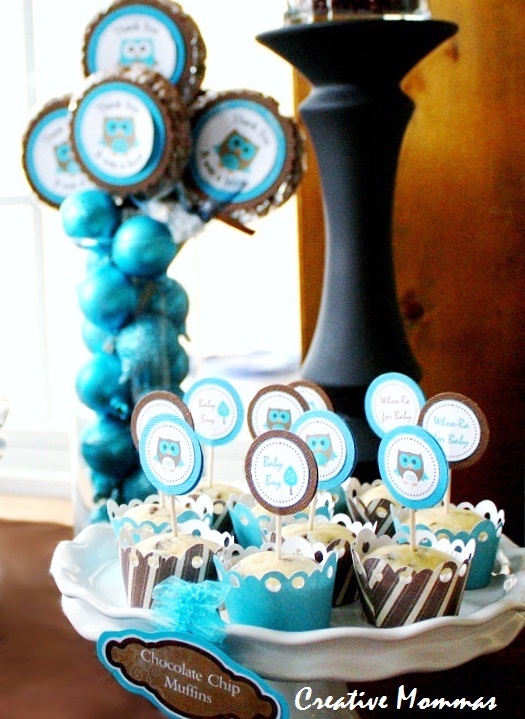 This past weekend I had the wonderful opportunity to throw a baby shower for a friend. 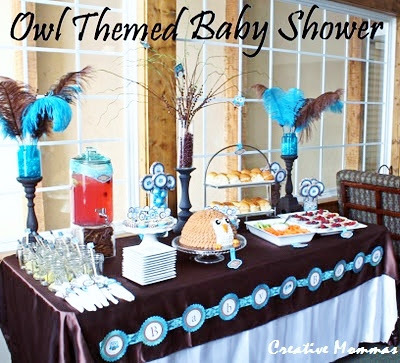 I was so excited because I've been dying to do an owl theme and this was the perfect opportunity! Over the Christmas holiday I was so lucky to get to travel and go to a Hobby Lobby. I spent hours in that store because it's my absolute FAVORITE!! 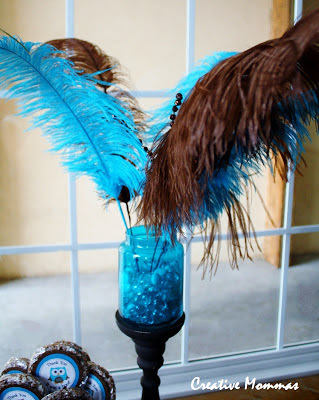 While there, I found these plumes and they became the inspiration for my colors. They were 50% off and that made them even more inspirational! I'm sure you've seen me use these before, like here, here, & here. I really haven't found them any cheaper than Hobby Lobby, so I always buy them there. My next inspiration was this cute little owl. I found him over at Kelly Medina Studios and I just had to purchase him for this party. 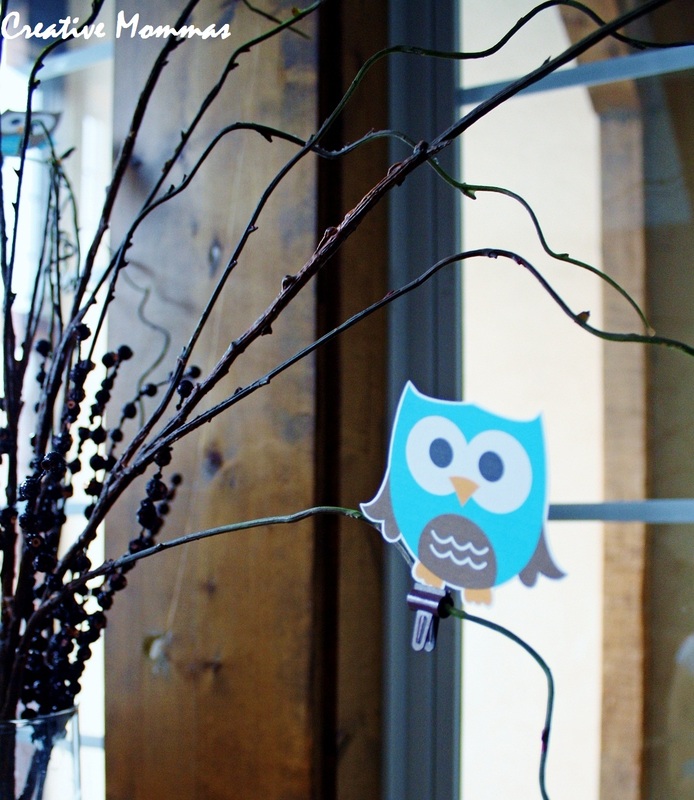 I knew he would be so cute in blue and brown clipped onto these branches! 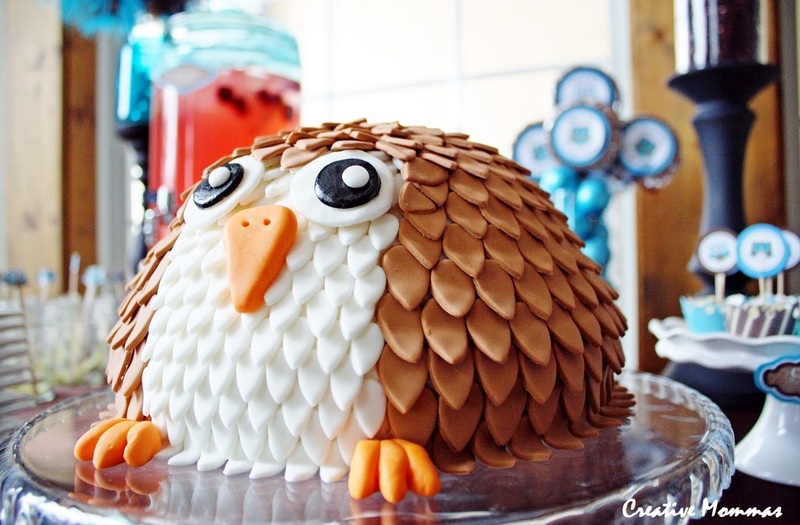 I have this SUPER talented friend, Megan, who makes specialty cakes and I knew she would do a FAB job making an owl themed cake. It's just so darling we almost didn't want to cut it! But once we all tasted it, we were so glad we decided to cut into it! It was strawberry flavored and SUPER YUMMY!! Thanks again Megan, you rock! 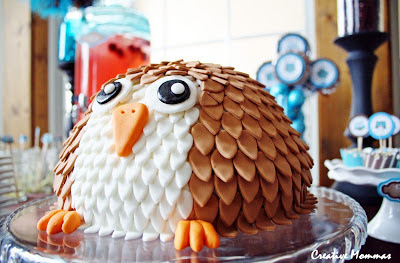 You all should go check out her other cakes too. Here is the one she did for our YW in excellence night & that was amazing too! I made fruit dip pies. 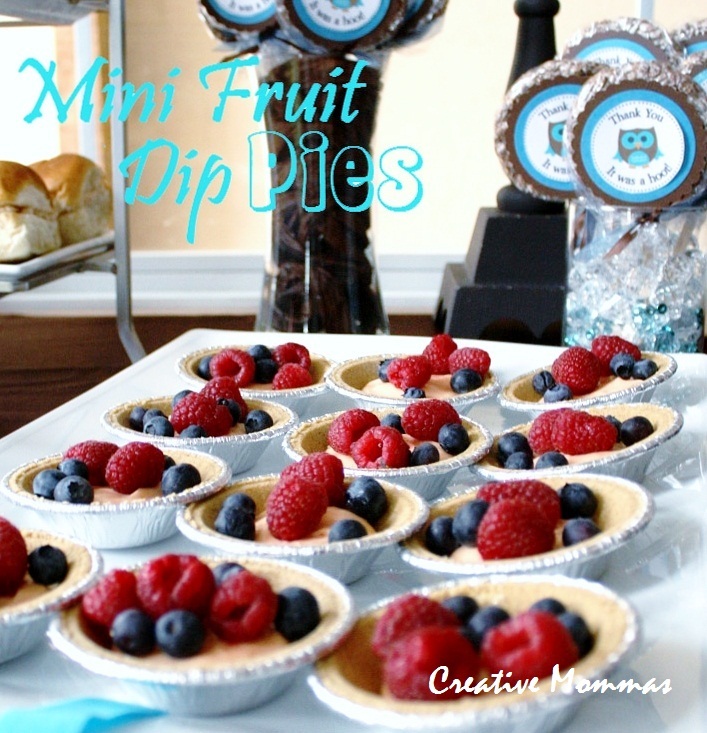 I wanted to have fruit and dip, but I wanted to do them differently then just setting them out. So, I bought cute little graham cracker pie crusts, filled them with fruit dip and topped them with fruit. I also served chicken salad sandwiches. Really easy to make and filling too. Because we were having cake, I didn't want to make cupcakes too, so I decided on muffins. A perfect lunch compliment and still cute enough to use cupcake wrappers and toppers. Also, super easy to make ahead of time. I used Shirley J's universal muffin & cake mix to make these muffins and it was super fast and really yummy. 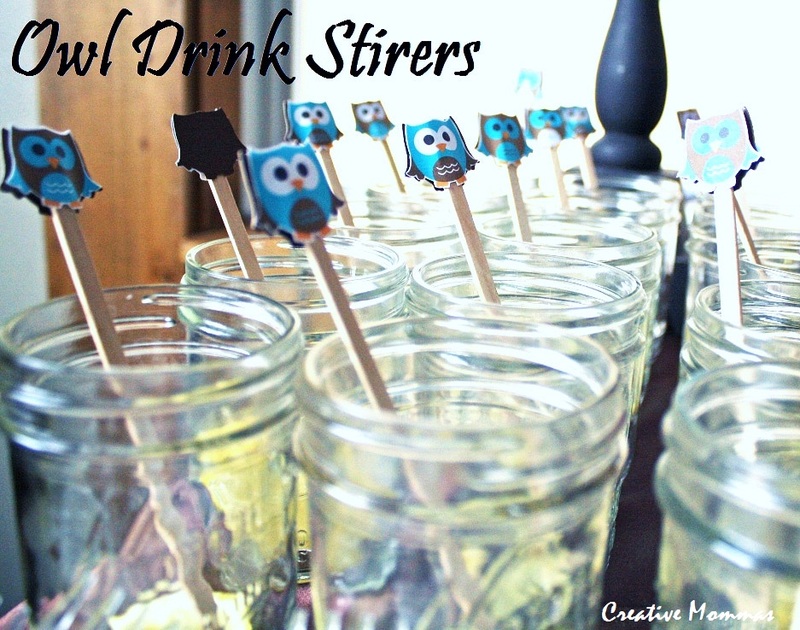 I saw the cutest owl drink stick stirs on Hostess with the Mostess blog and I just had to make them. I didn't have the punch, so I used my printer & Cricut to make these. I just LOVE them and now I want to make them for EVERY party!! 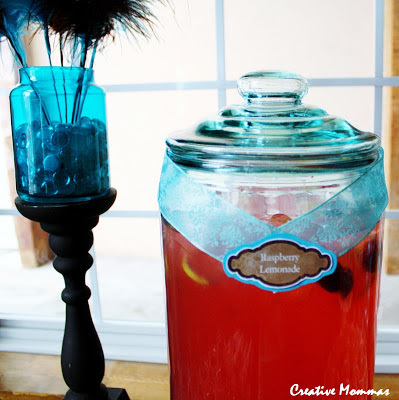 Of course, I had to have raspberry lemonade again too. Love that stuff! 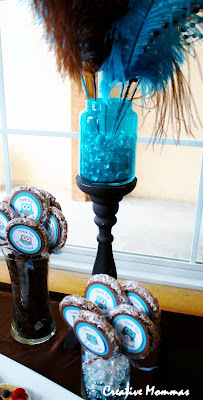 And to complete the party, I had to include party favors! You may have noticed that I incorporated them into my decor. 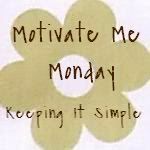 Double purpose! I made cocoa rice krispy treats, cut them in circles with a cookie cutter and added a stick. 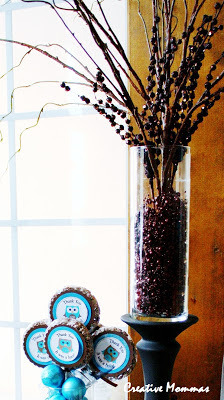 These were made with the same owl clip art listed above, my printer & my Cricut. Gotta love having tools to make these easier!! 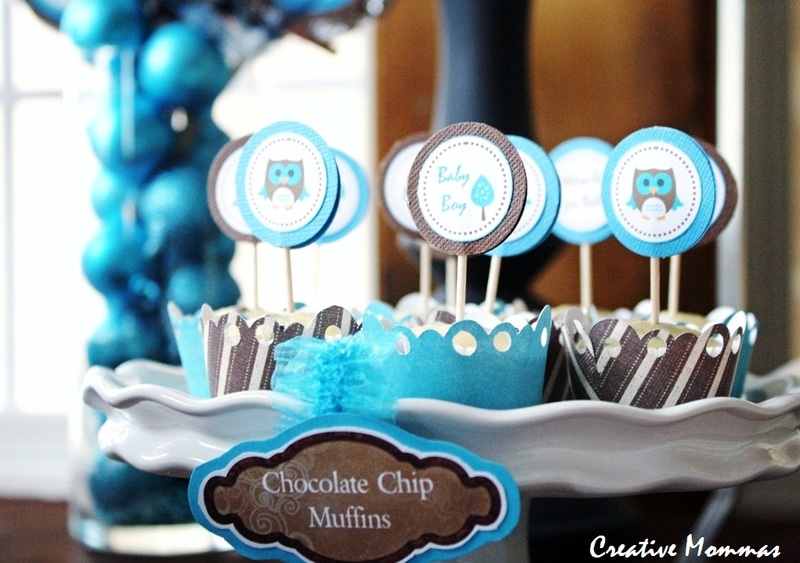 Very cute I just love blue and brown together! So cute Dacia!! You did a great on the decorating! It turned out wonderfully! Good job! Everything went together so well. I know that's a lot of work, and you manage to do it! How adorable! 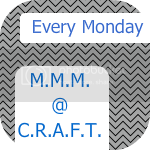 I hope you'll come link this up a the craft catwalk! Oh I love that cake!! Wow, what a gorgeous spread! 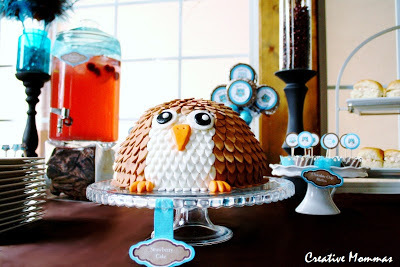 The owl cake looks fabulous, and I love all of your wonderful favors and beautiful color scheme, too!! Cute, cute, cute!!! 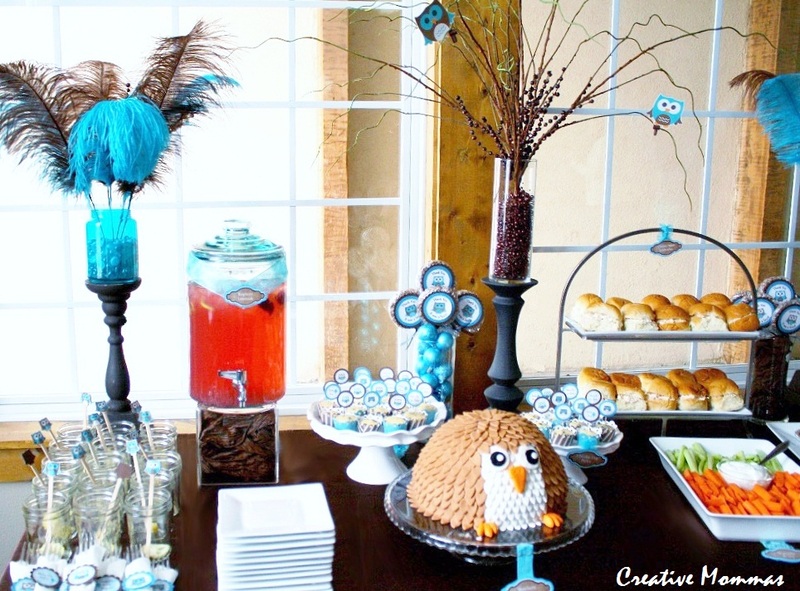 Your dessert table is wonderful! Great job on the cutouts! The cake is fabulous!!! i have been scrolling around and just DYING over everything! we added you to our side bar! SO fun! Thanks for sharing all these darling ideas! What a blessed friend! Soo flippin cute! 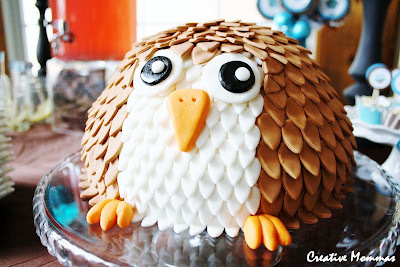 I love EVERYTHING owl! What a great celebration of a wonderful event! Thanks for sharing with the Pink Hippo Party! You did a fabulous job!! Everything looks amazing and so well put together. I linked you over at I Burned the Brownies! 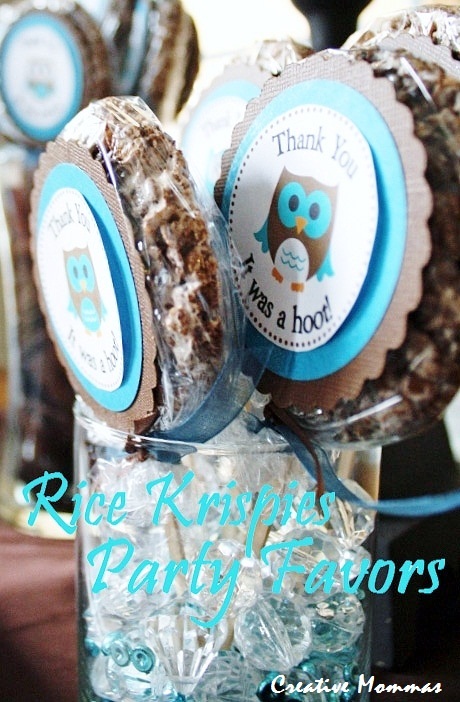 Love the cocoa krispies party favors and thinking I just may do the same! 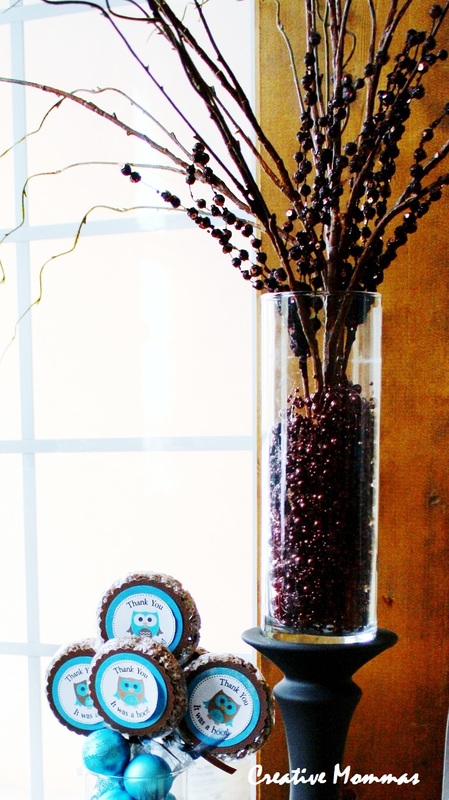 What an adorable shower! We are having a Look Who's 2 party for my little girl in a few months and these are some super cute ideas! Wow!! What an adorable baby shower. 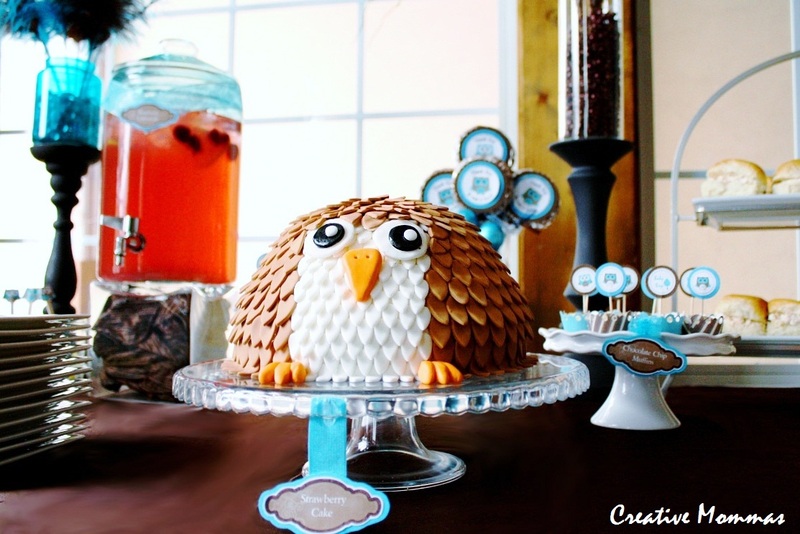 You really did a great job in arranging this awesome owl themed party. The blue is rocking the day. 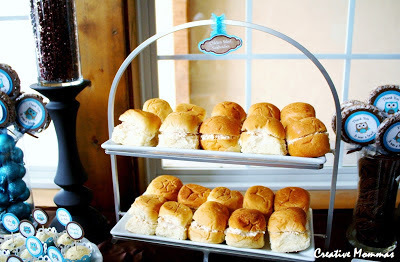 The cake looks superb and I was looking for such excellent theme and happy to come across this great blog. Will surely have this one for my baby shower at one of LA event venues. Thanks for this awesome post.